"Christ asked the question as to what manner of men ought we to be. He answered by saying we ought to be even as he is (see 3 Nephi 27:27). That man is greatest and most blessed and joyful whose life most closely fits the pattern of the Christ. This has nothing to do with earthly wealth, power, or prestige. 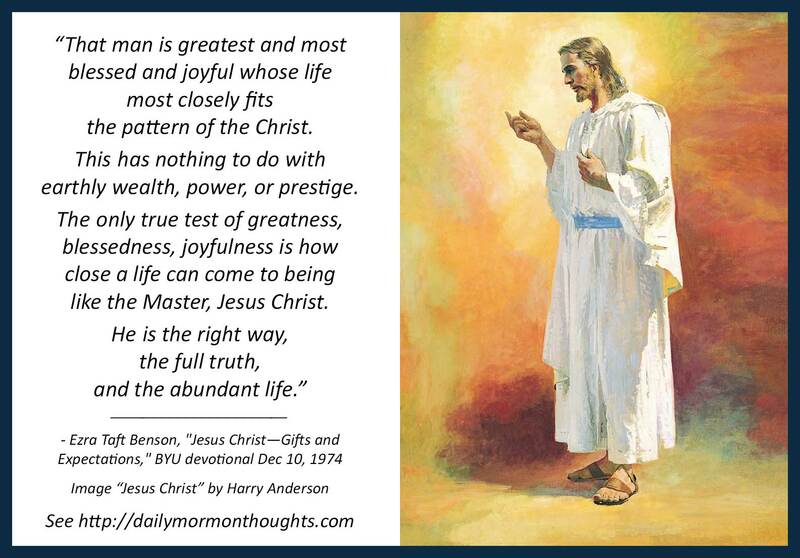 The only true test of greatness, blessedness, joyfulness is how close a life can come to being like the Master, Jesus Christ. He is the right way, the full truth, and the abundant life. "The constant and most recurring question in our minds, touching every thought and deed of our lives, should be 'Lord, what wilt thou have me to do?' (Acts 9:6). The answer to that question can come through the Light of Christ and the Holy Ghost. Fortunate are those who so live that their beings are filled with both of them." President Benson spoke on several occasions of the desire to closely follow the Savior, to walk in His steps and live as He lived. This was a landmark address at a BYU devotional about the topic. 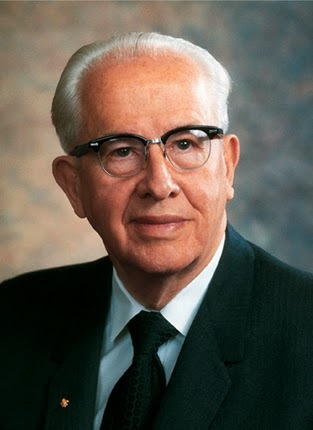 He reminds us that true joy and peace in life come when we strive most sincerely to follow the example of the Master. President Benson mentions the experience Saul of Tarsus on the road to Damascus, when his evil and destructive path was abruptly changed by the Lord. A humbled Paul, "trembling and astonished," now asked that powerful question: "Lord, what wilt thou have me to do?" President Benson suggests that we should all be asking that question in our lives, in every aspect, every thought, every day. If we truly strive to do only what the Lord would have us do, we will be His disciples indeed, and will be firmly on the path to peace and joy.